HDR Expose Expands Upon the Success of its Predecessor, HDR PhotoStudio, with New and Enhanced Features to Create Natural-Looking HDR Images That Utilize the Full Range of 32-Bit Color Data. Unified Color Technologies, the experts in high dynamic range imaging (HDR), today announced the launch of HDR Expose™, its next generation software for the creation and editing of HDR images. Replacing the company’s flagship product, HDR PhotoStudio, HDR Expose offers new features that include the addition of interactive HDR histogram, digital color readout, multiple ghost reduction options, plug-ins for Adobe Lightroom and Apple Aperture, and a sleek, intuitive user interface that enables photographers to create true-to-life HDR images Unified Color Technologies is the only company offering HDR solutions that provide full 32-bit color editing capabilities based on its patented Beyond RGB™ color space. HDR Expose will be available on for purchase starting July 12, 2010, and photographers can sign up for availability notification at http://www.unifiedcolor.com. Developed with the input of the rapidly growing HDR photography community, Unified Color Technologies has significantly improved its software with the addition of new and enhanced features. Putting more control into the hands of the photographer, HDR Expose offers an interactive histogram with “Screen Zone” boundary markers that enable photographers to make necessary adjustments to ensure valuable highlight and shadow detail is maintained at lower resolutions. New de-ghosting algorithms provide more control over how the software will approach the initial multi-exposure merge process. Photographers can select from de-ghosting presets to quickly address large areas of movement such as waves or individual moving vehicles. HDR Expose includes a new user interface to improve workflow, plus a familiar layered adjustment panel to revisit previous adjustments. For a quick start to HDR newcomers, or to find a starting point to further edit an HDR image, a one-click Dynamic Range Mapping tool easily sets optimal image processing in one touch. 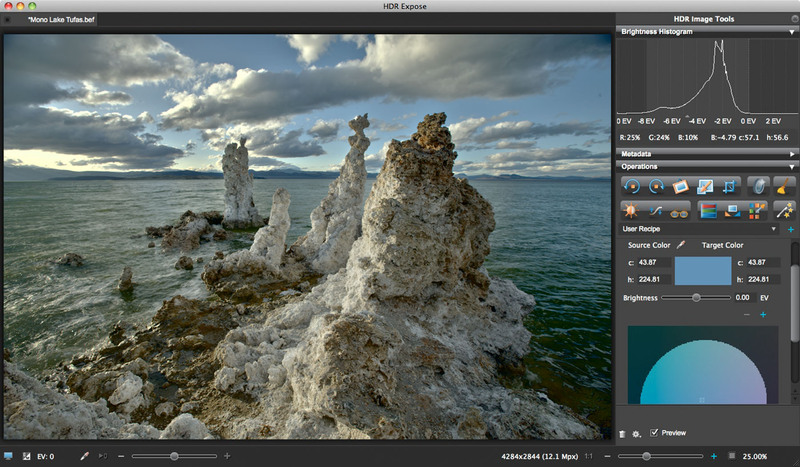 HDR Expose also comes with import and export plug-ins for Adobe Lightroom, as well as Apple’s Aperture extending the workflow options of these programs to include HDR merge and processing. The plug-ins included with HDR Expose provide photographers with a seamless, round-trip export process, automatically sending selected images to HDR Expose for processing and returning the final HDR image back to the original library. HDR Expose continues the creative momentum of HDR PhotoStudio, retaining all the features photographers have depended on to create natural images: complete control of contrast, shadow and highlights while preserving the maximum color spectrum; a comprehensive toolbox that addresses some of the common difficulties in HDR photography like noise reduction and veiling glare adjustment; and best-in-class image compression with Unified Color’s native file format, .BEF. The software also includes a .BEF-converting plug-in to directly return the resulting images to Photoshop for additional editing. All current HDR PhotoStudio customers are eligible for a free upgrade to HDR Expose. Starting July 12, 2010, HDR Expose will be available for purchase at http://www.unifiedcolor.com at a list price of $149. 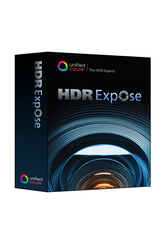 A special introductory launch price for HDR Expose of $99 is available through July 31, 2010 and a free 30-day trial version is also available. HDR Expose will be a featured prize in the company’s True Vision HDR Photo Contest. Photographers of all levels are invited to submit their HDR images for a chance to win prizes including a grand prize of a photo adventure through National Geographic Expeditions and a 15-inch MacBook Pro. There is no fee or purchase required to enter. Phase two of the multi-phase contest closes July 24 and more details can be found at http://www.unifiedcolor.com/contest. PC: Windows XP, Windows Vista (for 20 MP image or larger, 64-bit Windows version is recommended.) Unified Color recommends utilizing a quad-core processor. Minimum 2 GB RAM, recommended 3 GB. Apple: Intel Macintosh 2.5 GHz dual core CPU with 2GB minimum RAM (4GB is recommended) running Mac OS 10.5.x (Leopard) or Mac OS 10.6.2 (Snow Leopard).